By the time of the 20th century, concrete block had become a popular building material – not just for foundations but entire structures as well. Concrete had also become a go-to choice for other needs associated with the building industry such as sidewalks and curbing. To meet the demand for blocks, various lumberyards set up their own facilities. Many also subcontracted concrete work. Various designs were used to finish the exterior of the blocks. Some facilities had their own signature look. Various stone-like finishes were probably the most popular. After 1900 another enterprise became associated with the Platt & Frees Lumberyard. This was the manufacture of concrete blocks by the firm of Michael Finkenbinder and Franklin Studebaker. 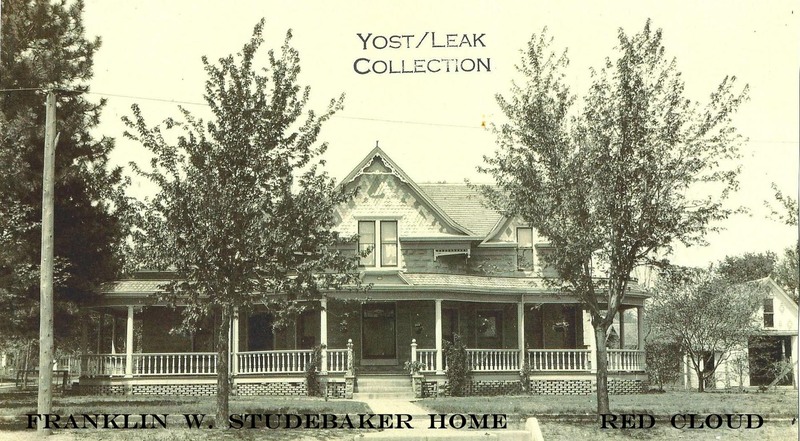 Their hometown business went by the name Finkenbinder & Studebaker Cement Works. Needless to say, their operation was dictated by the weather. However a seasonal venture, during demanding times they would employ about nine men. 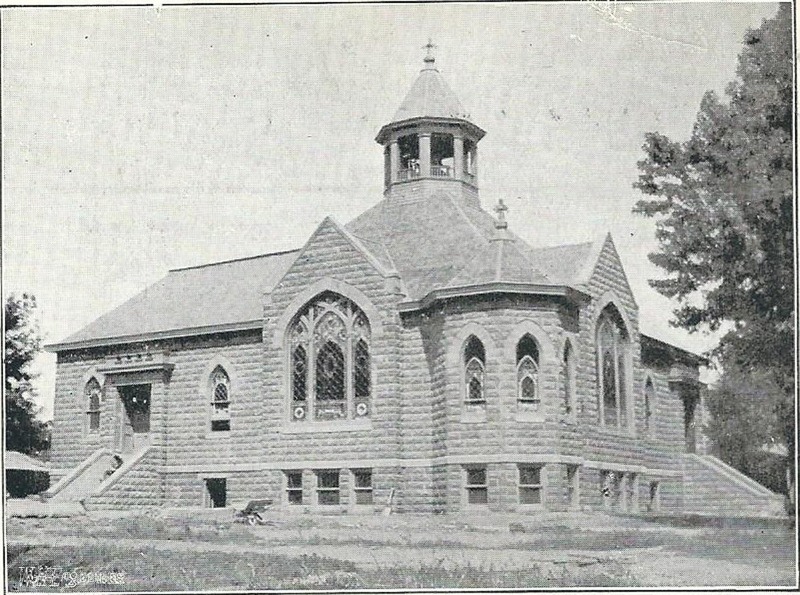 Red Cloud’s 1905 Methodist Episcopal Church on West Sixth Avenue and Seward Streets and various businesses in the downtown were constructed of these or similar block, as was Frank Studebaker’s residence at West Fourth Avenue and North Chestnut Street.